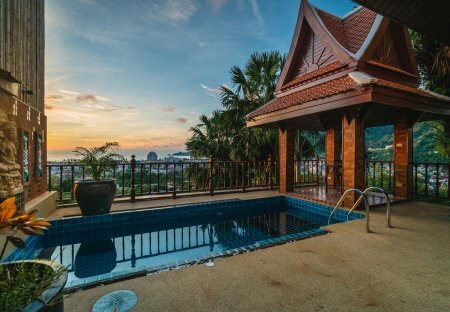 Rent villas and apartments in Patong beach, Phuket with private pools. This 3 bedroom villa with swimming pool and sleeps 9 people. It has WiFi, a garden and parking nearby. This 4 bedroom villa with swimming pool and sleeps 8 people. It has WiFi, a garden and barbeque facilities. This 3 bedroom apartment with swimming pool and sleeps 7 people. It has WiFi, parking nearby and air conditioning. This 2 bedroom apartment with swimming pool and sleeps 4 people. It has parking nearby and air conditioning. This 3 bedroom apartment with swimming pool and sleeps 6 people. It has WiFi, parking nearby and air conditioning. This apartment with swimming pool and sleeps 2 people. It has parking nearby and air conditioning. 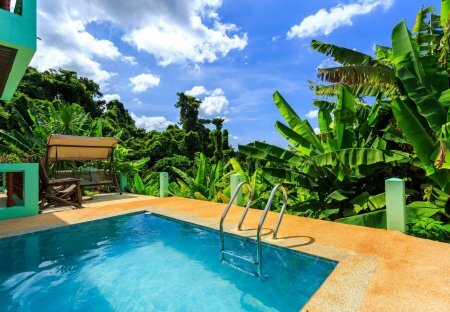 This 4 bedroom villa with swimming pool and sleeps 10 people. It has WiFi, parking nearby and air conditioning. This 1 bedroom apartment with swimming pool and sleeps 2 people. It has WiFi, a garden and parking nearby. This 2 bedroom apartment with swimming pool and sleeps 4 people. It has WiFi, parking nearby and air conditioning. This apartment with swimming pool and sleeps 2 people. It has WiFi, a garden and parking nearby. This 1 bedroom apartment with swimming pool and sleeps 3 people. It has WiFi, a garden and parking nearby. Set across three separate buildings with three double bedrooms, a garden and a private swimming pool this private villa is the ideal location for groups. This studio apartment with swimming pool and sleeps 2 people. It has WiFi, a garden and parking nearby.